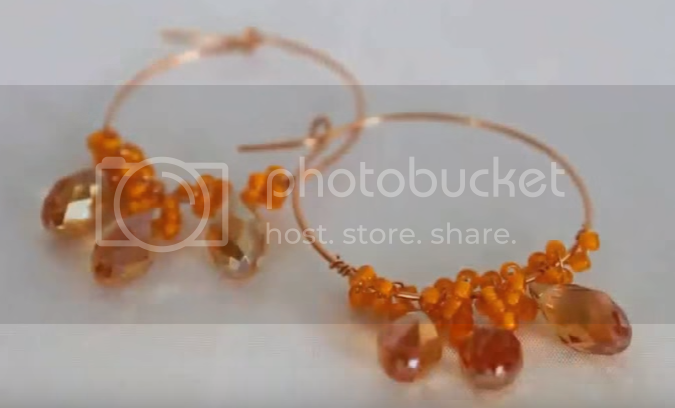 Drops of Honey Hoop Earrings tutorial will teach you how to create your own hoop earrings using simple wirework techniques. 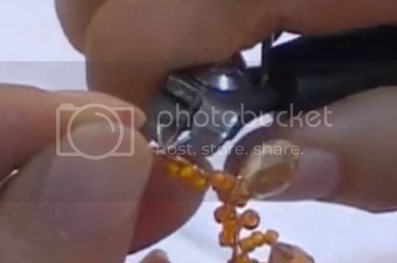 Wire wrapping is a popular wirework technique and this tutorial will teach you how to wire wrap with seed beads. With this particular design, it gives you the freedom to choose how many seed beads you’d like to string and wrap. 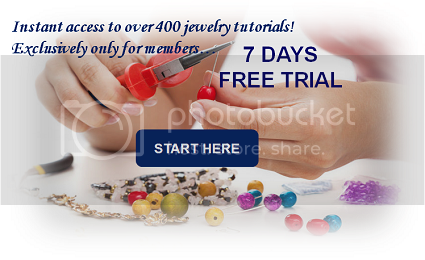 In creating the earrings there is no specific suggestion as to how many seed beads are needed to string and wrap. You may choose to string as many as you like. 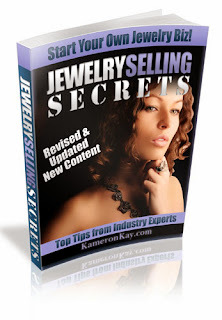 The number of seed beads stringed will increase the number of wraps and therefore, will create a different variation. 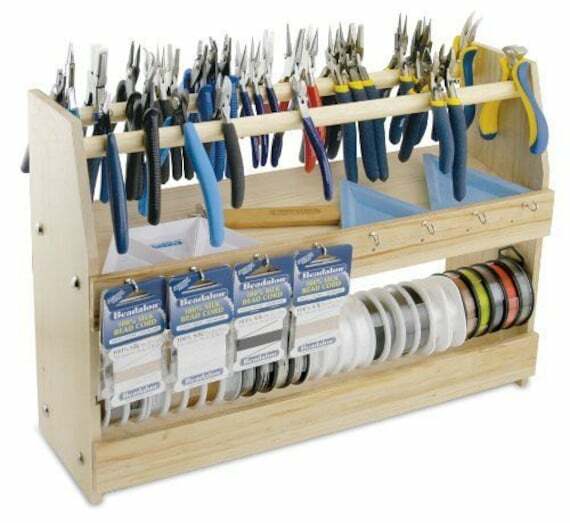 Bring up your 20ga wire and measure 2.5cm. From the 2.5cm mark, make a loop of about 3.cm in diameter using a mandrel or any rounded object. This will be your hoop earring frame. Cut 26cm of 28ga copper wire. Wrap 1 end of the wire onto the hoop at least 2x. Slide in some 11/0 seed beads and position the beads close to the hoop earring frame. Then wrap the wire like so onto the hoop earring frame. Continue until all beads are wrapped. Continue wrapping with a teardrop then followed by some seedbeads. Repeat Step 3 & 4 (2x). Wrap the end of the wire onto the earring frame to secure the wire. 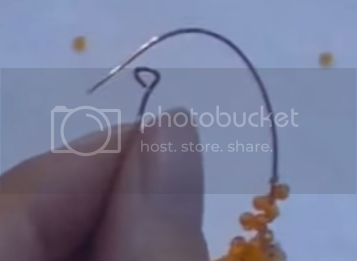 Make a loop on the wire with the 2.5cm mark using your round nose pliers. Bring up your mandrel or any rounded object. 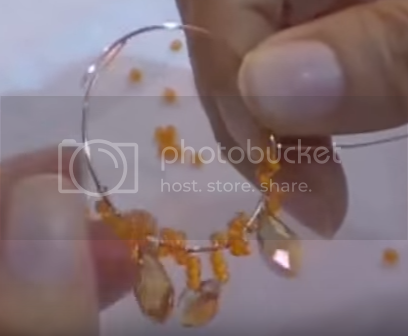 Adjust the shape of the hoop earring frame and bend the loop upwards. Repeat the steps and create a pair. Hi Sky, I usually only comment when I really like something. These are beautiful and your instructions were perfect. Simple elegance are these earrings and simply the best pictures and instructions. My sister and I are also self taught jewelry designers and that is why I just wanted to say great earrings and Good Luck sharing your designs with others!